Where would you want to work if you love the outdoors and have studied design? 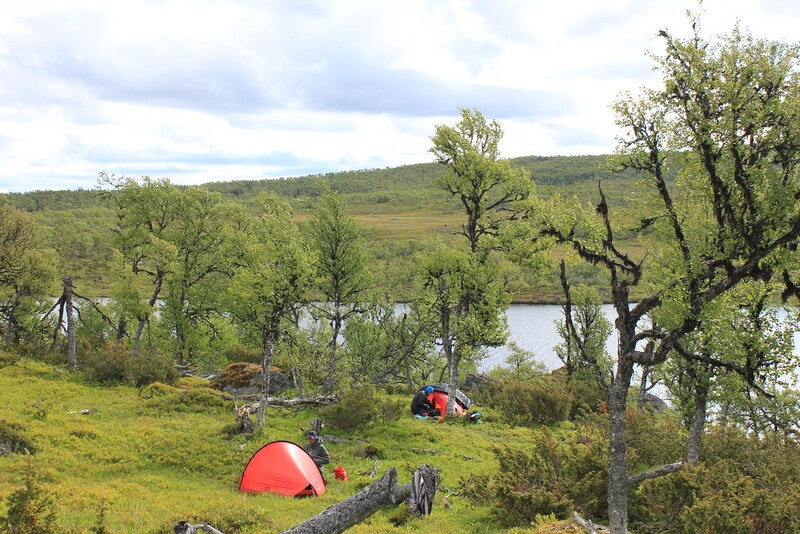 If you live in Sweden and also like shelters then Hilleberg the Tentmaker would be a good call. That’s also what Ulrika Rogeman thought - and now works as a Product Designer at Hilleberg. She is also the designer of the Hilleberg Enan, the lightest Hilleberg tent yet! Read this Mountain People Interview to find out about what goes into designing an ultralight tent that can carries the Hilleberg name! Hej Ulrika, thanks for taking the time to answer my questions. Could you please introduce yourself briefly, so we have an idea what’s your background? My name is Ulrika Rogeman and I am 30 years old. I have been working at Hilleberg with Product Design for three years. Since September my responsibilities has extended to include Material Development as well. I came straight from University when I started at Hilleberg. 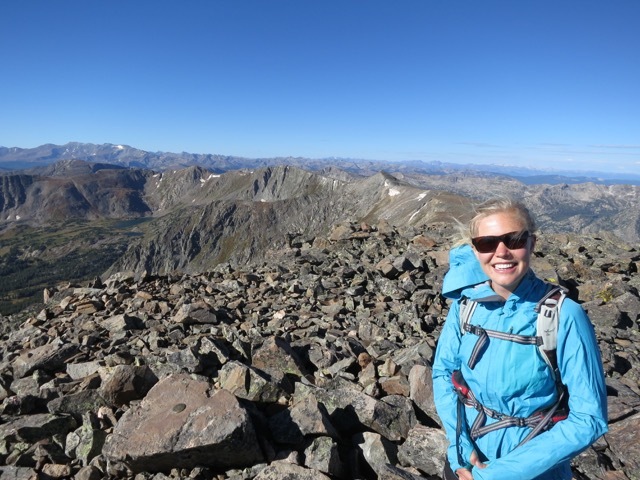 I have a degree in Mechanical Engineering, but my education did focus on product development as well - and especially development of outdoor products. So the job at Hilleberg is exactly what I studied to work with! I have always been an outdoor person and I enjoy any activity that takes me to the mountains. The last years there has been a lot of trailrunning, biking and ski mountaineering in my life. It is extra fun to develop a lightweight tent like Enan when I really can see myself use it when for example I go running in the mountains. We met at the OutDoor and you showed me the new Hilleberg Enan - your design! How was the idea born to create the Enan, as Hilleberg has two tents - the Anjan and Akto - which potentially could suit the space the Enan now takes? The plan to make a one person 3-season tent (at Hilleberg we call the 3-season tents Yellow Label) started when we made Anjan and Rogen, the other Hilleberg Yellow Label models. We definitely believe that there is room for a 1,1 kg Hilleberg tent between Anjan and Akto, for those who really need to prioritize weight but still want the security and quality that a Hilleberg tent offers. 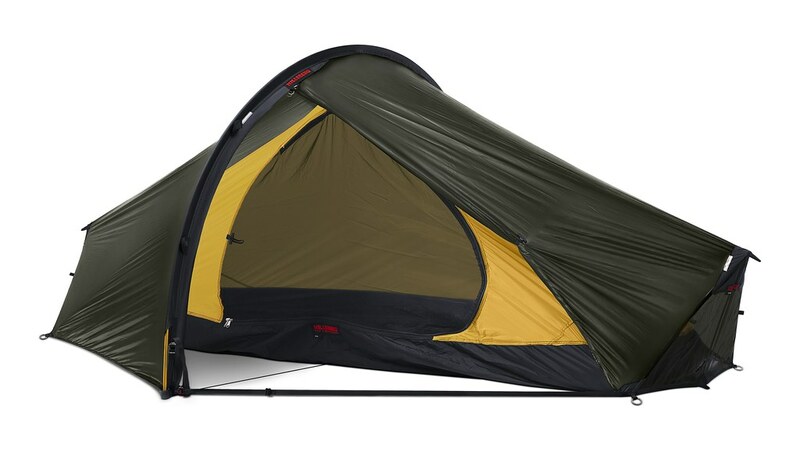 You told me the Enan is based on the footprint of the Akto and also uses some design features of this tent. Would it be correct to think that the Enan has been designed for Akto enthusiasts which want a 3-Season tent? Yes, definitely! Although Enan is not just an Akto with lighter materials. Once you start to use Enan you will see that there are several design details that are different in order to make the tent lighter. All these details have been thought through carefully so that we have a light tent but still a tent that is true to the other Hilleberg principles: Reliability, Adaptability, Ease of Use, Durability and Comfort. How long have you been working on the Enan - from the idea was born till the final production model? About two years. First I made initial sketches of interesting designs, then sketches were transformed into 1-to-1 scale cord-skeletons just to get a feeling of the design and its behaviour. Then I made patterns and sew prototypes for the most interesting designs. These were tested out in the nature, but I also tested them in our wind machine, which actually is a snow cannon. At the same time as I was testing the design there were several different materials tested in the tent in order to find the best combination between low weight and strength. For example we tested using poles with a smaller diameter, but realized that in strong wind these poles did not have the strength that we looked for so instead we use the same strong 9 mm pole that we have in Akto. When I finally found a design that matched both low weight and strength it was time to work with the details. One example is that I have tried to use the tent in rainstorm by adding water to the wind machine. It is the result of that test that the shutters that can cover the short ends were developed. In most weather they are absolutely unnecessary and it is much better to go with full ventilation. But when the rain is close to horizontal they will give you the extra security to prevent your outdoor adventure from turning into a nasty, unsafe experience. When the tent was almost as perfect as we want it to be, it was time to send it out with people that are not working at Hilleberg to get their opinion of the tent. In total Enan has been outdoors more than 140 nights before we introduced the tent. Have you looked at other tent designs while designing the Enan? As it has some similarities with the Tarptent Moment - would you say that’s coincidence and just shows that a good design can be conceived on opposite places of the world (like the Pyramids, which have been built by the Mayans and Egyptians)? 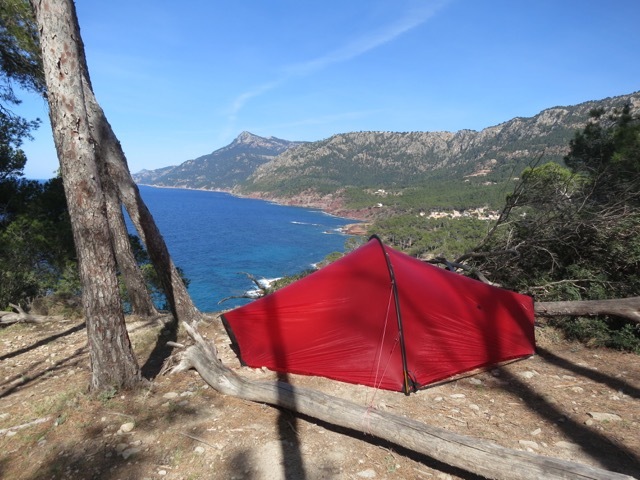 Yes, I have looked at other tents, as a product developer you have to be aware of other products, maybe not because of the design, more in order to know the weight and price of the products that are in the same product range. But honestly, there are quite a few lightweight tents that resemble each other. I believe that Enan has more in common with Hilleberg’s own Akto rather than any model from another brand. Hilleberg also has for the first time created a tent that’s very close to the 1 kg packed weight limit, while keeping the Hilleberg principles of strength and durability. You’re using the new Kerlon 600 fabric as a shell for this tent, how did you set the specifics for this material? Ones again we have to go back to the Hilleberg principles. A low weight will always mean that we have to compromise with the other principles, but we are only willing to take the compromise to a certain limit. The initial specifications were set from the long experience of tent making that we have at Hilleberg. From these initial specifications different material designs were tested at the Mid Sweden University Textile Laboratory that we have access to. As I mentioned before, different fabrics were also tested in the different tent designs. Eventually we felt that Kerlon 600 was the fabric that matched our demands the best. It is also Kerlon 600 that has been used during the more than 140 nights that Enan has been out. Throughout all these tests we have been able to verify that the initial specification match what we need the fabric to perform. What are other design details of the Enan you are really proud of? I am mostly proud of how simple the tent is, the tent design talks for itself and you do not have to be an engineer to use it correctly. Simplicity in combination with high quality gives a thought through product. It takes a lot of work and thinking to find out how a product can be simplified but still be a high quality product. It is the things that are removed that I am most proud of. You said the Enan fits two persons in a pinch - you have used it with your partner in Lapland, if I recall correctly - so do you think we’ll see Adventure Racers use your tents in the future, or is Hilleberg maybe even sponsoring some Adventure Racing teams with the Enan? Yes, or well I have used it when me and my partner have been out running in the mountains of Jämtland, the region where the Hilleberg office is located. One time when we were out the weather was really bad and we were soaking wet when we stopped running and pitched the tent. But to hang out, two persons, in the tent the rest of the evening was really not a problem. Although I suggest that you know each other quite well! I absolutely believe that Enan will be used in adventure races. Actually we have already lent out the tent during some competitions. 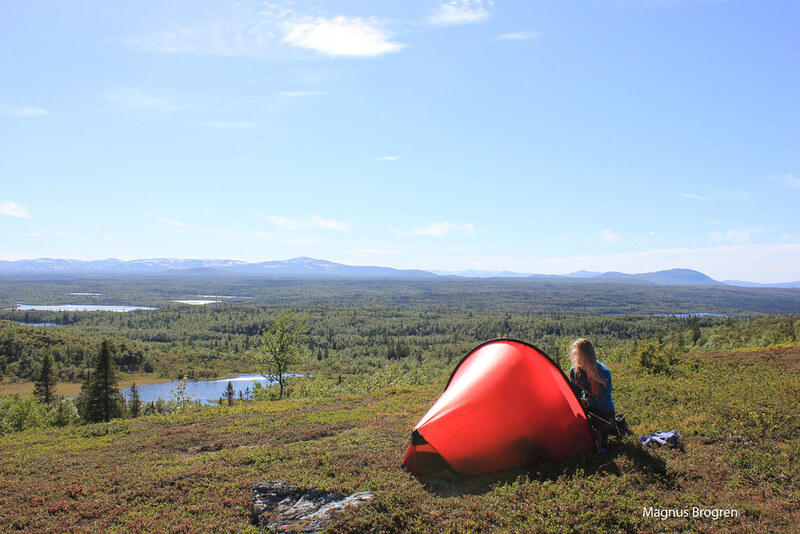 For example our Hilleberg friend Christine Hägglund used it with her teammate during the mountain orienteering race BAMM that takes place in the far north of Sweden. The Enan will be available in 2015 to consumers - do you think it will be popular? I hope so! Or to be more specific, I hope that people that really need a low weight tent likes Enan. I think that if you want comfort and a long lasting tent you should look for one of our Black Label models. Ulrika, I thank you for taking the time for answering my questions! Any closing words? Go out and enjoy the mountains, fjells and wilderness! Don’t miss future Mountain People Interviews and other posts and follow along on Facebook, Twitter or subscribe to the RSS feed!